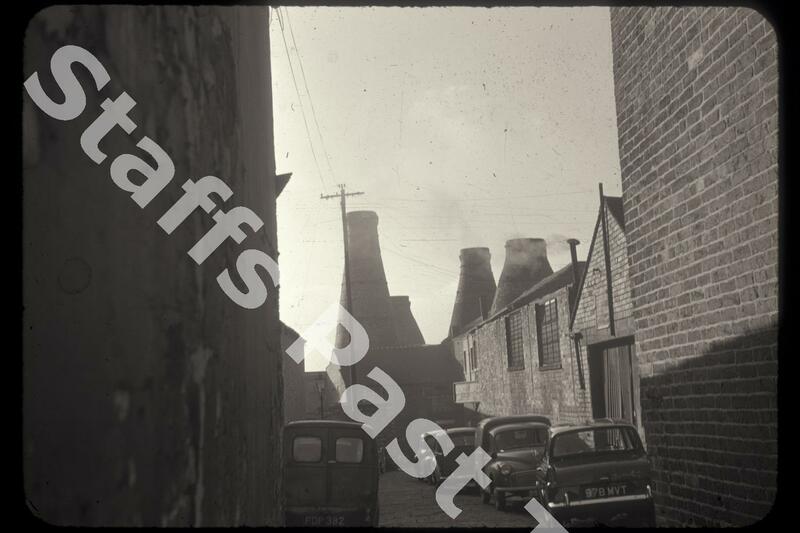 Description:This photograph was taken at the top of Short Street, just off Uttoxeter Road. 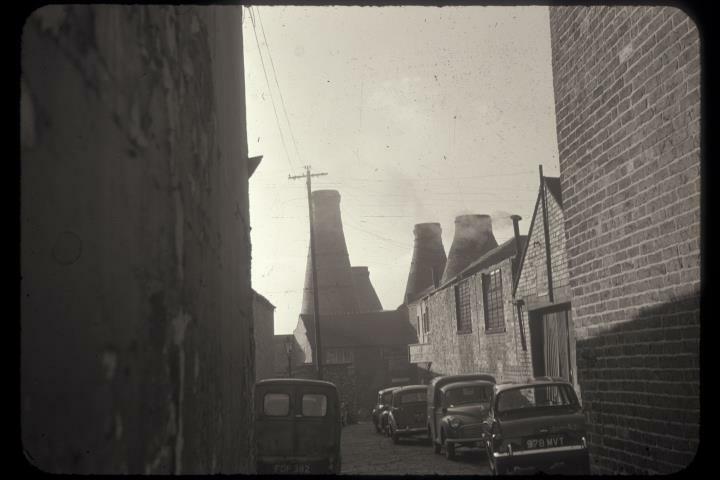 The bottle ovens are part of Spencer Stevenson's Enson Pottery between Short Street and neighbouring Chelson Street (formerly Bagnall Street). The pottery had four bottle ovens and two story range. Stevenson, Spencer & Co Ltd operated these works from 1948 to 1960. The works is grade II listed. The view along Short Street is very similar today, apart form the cars and vans, with the cobbled street, ovens and many of the buildings in the foreground still as they were.